This image represents a change in direction in my personal work, a new beginning in my full moon project. 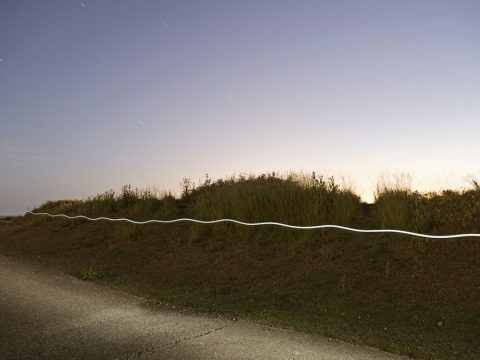 The work was created on a warm summer’s night in 2010 in a field somewhere between New Heaven and Eastbourne in the South East coast of UK. This is a remote location situated between the rail tracks and the beach, it’s mainly a flat-ish land with a low vegetation and some concrete pathways (which apparently were built by the army during the World War II to be able to take heavy equipment and tanks near the beach). The image marks the birth of the Licht series which has been published and exhibited widely since. 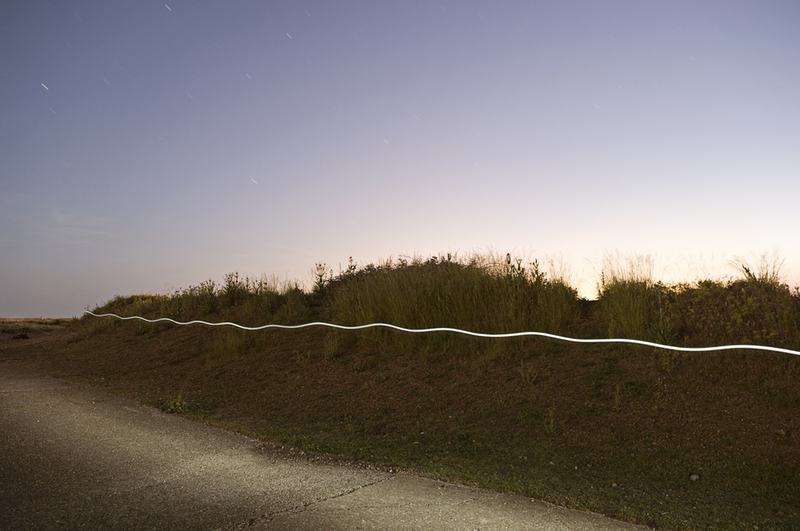 Up until this point my full moon project was mainly about the landscape itself, focussing on locations being illuminated by the soft, romantic and mysterious moonlight. I remember that the project was already evolving at the point, with the exposures getting much longer (playing with the idea of representing a night as if it was a day) and myself paying more attention to the thought process during the time the exposure was being made. Working at night in quiet and remote locations gets your brain going in unusual directions, The process can become quite meditative and self-reflective. Suddenly the idea came that instead of waiting behind the tripod, I should become part of the photograph, so I started interacting with the landscape, gently painting it with light and leaving clues of my own trace as I moved through the frame. After seeing the result of the first test I decided I had created something I needed to explore further. The project, “Licht series”, has evolved further from that initial point and became slightly more polished and controlled, which somehow made me exclude this image from the series in the final edit.